Riding a two-wheeler gives you an adrenaline rush, doesn’t it? But, what about the risk of physical injury when riding your bike? 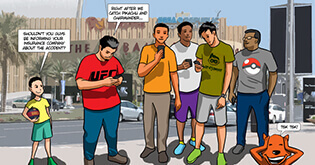 Most of the times it may not be your fault as the streets are filled with idiots, who are reckless. Regardless of who is to be blamed, they will still point the finger at you. 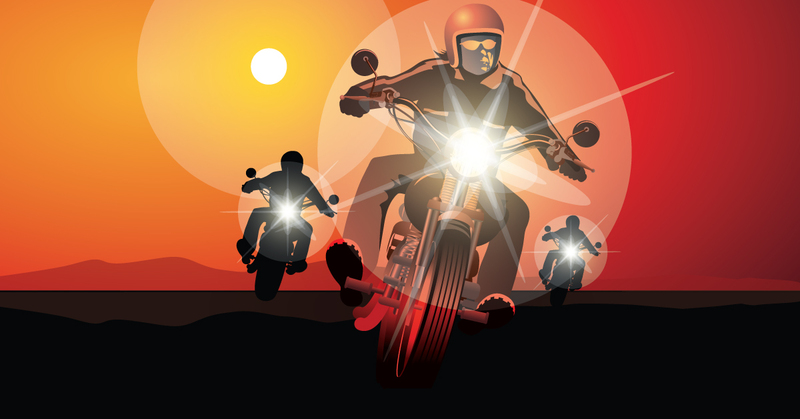 As a rider, it is your responsibility to be alert on the road and take precautions. Hence, insuring your bike or scooter is a must. When unfortunate events occur, the compensation from your insurance policy comes to your rescue. As per the Motor Vehicle Act 1988, it is made mandatory for every vehicle to have a valid insurance policy before it is put on the road. Apart from that, there are so many beneficial reasons for getting your bike insured. Read ahead as we uncover some crucial facts on two-wheeler insurance. How to get a two-wheeler insurance cover? Think of your bike as your baby. Your newborn baby is given vaccination to prevent and protect it from life-threatening diseases. Giving the baby regular dose of vaccines at an early stage also saves you from undergoing hassles in future. Similarly, giving your vehicle a two-wheeler insurance policy is important to protect both you and your bike from disastrous events. Third party expenses can be a massive trouble. You may be a learner or an experienced rider; do NOT take the risk of NOT HAVING A POLICY! We all are humans and human errors are bound to occur. If you accidently hit another vehicle or injure a person, the costs of losses and injuries sustained by that third party will be settled by your insurance company. Now, you may ask, “What if my bike accidentally bangs into someone’s property?” You don’t have to worry as the insurance company will take care of those losses as well. Just make sure you submit your claim appropriately and systematically. The expenses will surely be covered. 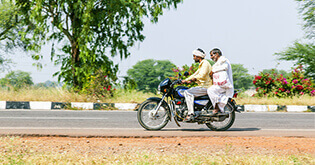 NOTE: A third party coverage in a two wheeler insurance is not something that has to be opted for separately, it comes with the insurance itself. It is a COMPULSION! But, it is wise to have a comprehensive policy as it covers you, your vehicle, third party vehicle, and third party owner. 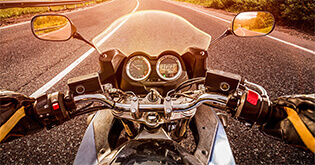 What are the vital coverages that are included in two wheeler insurance? 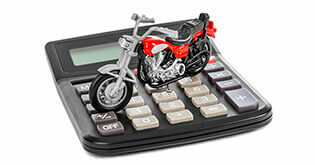 There are multiple benefits of having a motorbike insurance policy. What are those advantages? Let’s find out. 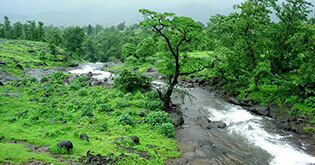 Natural disasters such as earthquakes, floods, storms, tsunamis, heavy rains are inevitable. They may not or may be foreseen (by the weather department). But, one cannot guarantee the impact of those disasters on property and human lives. What’s the best thing you can do? Raise your guard higher with a two wheeler insurance plan. If you thought natural calamities were an insult to mankind and nature, then man-made disasters are worse. Riots, terrorist attack, burglary, theft, etc. you never know when you can be the next victim. So, why not get your bike covered with a smart two wheeler policy? You were riding happily on your way to work when suddenly a person runs across the street with the intention to cross the road. Though you try your best to apply the brakes, it is too late! Both you and that person are injured! Totally unexpected? There may be many more unexpected injuries awaiting you in your life. Right from internal injuries, fractures to dislocation of joints are covered by comprehensive two-wheeler insurance policies for both you and that person. A deadly accident can result in temporary paralysis or disability of any body part. Thankfully, your insurance company will pay for those losses and medical expenses incurred. God forbid, but what if the impact of your accident was so bad that you face permanent disability. Perhaps, loss of vision or disability to walk! Luckily an insurance policy covers all the losses and expenses of treatment. If the accident results in the death of a third party, the family of the deceased can make a claim against you. You can then transfer your liability to the insurance company. Considering all the points mentioned above, it is advisable to drive your vehicle on the road with a valid insurance cover. Don’t let miserable events take a toll on you. 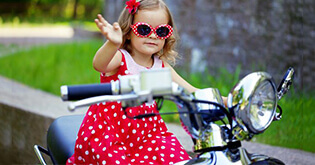 Get a good comprehensive two wheeler policy today! Ride safely; be a responsible citizen!